Optional Kiriko Glass Package*: RM 126,000. *Applicable for LS Executive only. Please refer to our Sales Consultant / Administrative staff for your insurance needs, coverage options available, and premium quotation. We recommended insurance for special windscreen cover based on sum insured of windscreen and tinting film (if applicable). 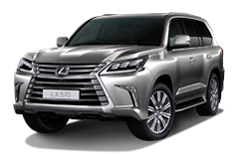 Every LEXUS comes with 5-years warranty from the date of first registration with unlimited mileage. Lexus Assist is available (terms and conditions apply).